You are here: Home / Parent Involvement / Do I Have A Gifted Toddler? Do I Have A Gifted Toddler? You’ve heard the proud father or mother before: “My little girl can already say a full sentence and she’s not even two years old yet!” Or maybe they shove a crayon painting in your face and tell you how incredibly talented their toddler is. Everyone wants to believe they have a talented child or a gifted toddler. But are they? What about yours? First, you have realize that the concept of a gifted toddler is very broad. Some are quick at learning words, others are good with crayons, others are able to walk and climb while their peers are still mastering standing up. The point is that every child is different, and you can’t expect them to be able to do everything right away, even if they are gifted. Don’t run to have your little cutie tested just yet. The ultimate gauge as to whether your tot has the gift of giftedness is you. Give your munchkin the chance to explore the world and observe his or her behavior. What seems to capture most of their interests? What things peak their attention? Even at a very early age children notice the world around them and react to it, and all you have to do is be there and watch. Once you’ve spotted what he or she seems to take a liking to, encourage it gently. In other words, if your tot likes words, don’t drop a Grisham in their lap. Instead, build upon that interest by going about it in a playful way. Point out words and letters, repeat them and make a game of it. Same where numbers are concerned. Remember that what encourages your curious cutie is not just the words or numbers themselves, but the attention you give. Remember that its all about fun. Entertainment and learning go hand-in-hand, and most of the learning will happen not when you sit them down and try to teach them something, but during the fun times, be it singing or finger-painting. Learning Toys are a great way to bank on that idea. 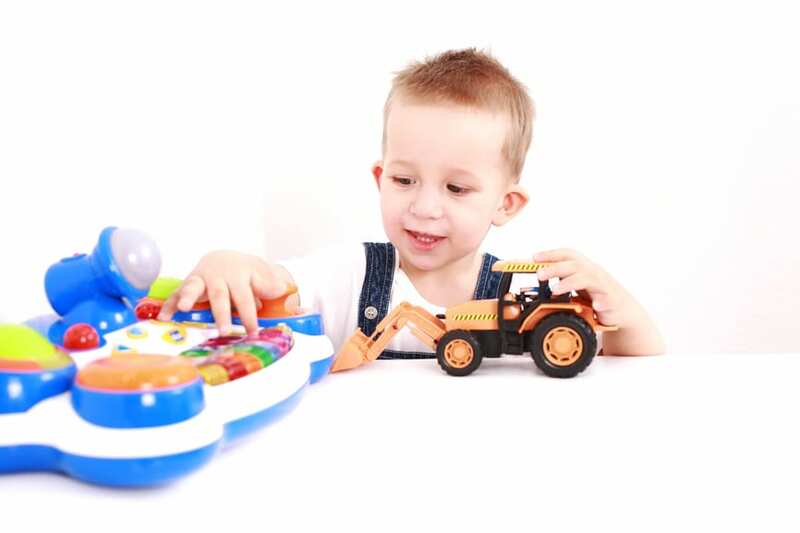 Toddler-friendly instruments and computers can enhance the playing/learning experience and so nurture your cutie’s abilities. But again, don’t just drop the toy in their lap and hope for the best. It is your very presence and love that can make the difference between a ‘regular’ kid and a gifted toddler. A final word on general giftedness. Remember that having a gifted toddler doesn’t just mean that the child is good with words, numbers or finger paint. A large part has to do with social interaction and thus to an extend our human ingrained morality. Showing empathy or the willingness to share are gifts just as valuable as being able to say a complete sentence, so nurture and encourage these aspects as well. Your ultimate goal as a parent is of course to raise a valuable and integral member of human society, an individual that can exist in this difficult world by itself. It is your relationship to your tot that will ensure that you have in your arms a truly valuable human being, and so having a gifted toddler depends a lot on you.